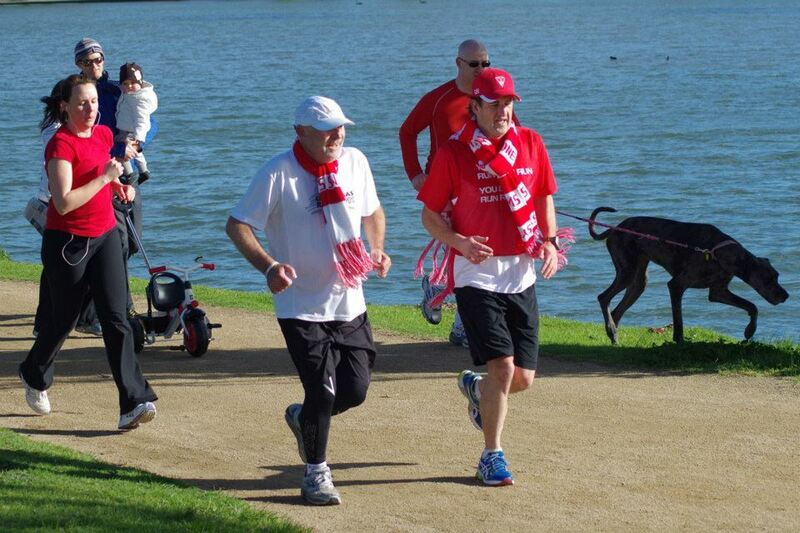 It has been three weeks since I updated my running and charity blog and boy have I been busy. 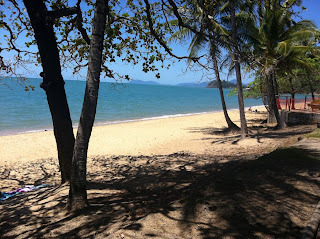 I have been off work, right up the top of Queensland (if you count north as “top”), sitting by swimming pools, wandering through World Heritage Listed pristine rainforests, swimming in the Pacific Ocean and more. The hardest part was having to put up with the half a dozen or so nubile 20’s something bikini clad, university students on our small excursion to the Great Barrier Reef, really guys I have coral and stuff to look at!!! What has this got to do with running? Absolutely nothing, except that my running diary did look a little slim. But there were valid reasons for that. Just before I left on holidays I managed to do something to my hip flexor (I’d know if it was a hip flexor), but the top of my right leg was stuffed. I was hobbling like a draught horse who’d carried the alcohol into the MCG on Grand Final day and the pain was around the hip region, so I've done the self-diagnosis thing and called it a hip flexor injury. A mate told me about 10 days rest would do the trick – amazing, I was going to Far North Queensland for 10 days, what a coincidence. 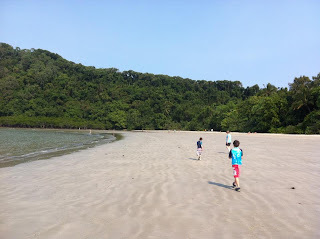 Since my last blog update where my last logged run was a long one 16.8kms (and I did say my right thigh hurt!!! ), I had only completed one extra run before I flew out – The “Marathon Talk Magic Mile” where you run your fastest mile and log it on their website. 9 mins 22 for me – all along I have said that I'm not fast, just persistant, but I was happy with anything under 10 mins and considering I was doing it on one leg for about the first 500 metres I was okay with the results. Onto holiday running, now imagine this, I left Melbourne and it was something like 15 degrees Celsius, when I landed in Cairns it was 30 degrees Celsius and about 80% humidity, not your ideal long running conditions. So whilst away I clocked up a couple of extra “one mile” runs on the Sunday and a further 5.11 kms on the Thursday and another on the flowing Monday. No fancy times, as I was wetter than a tissue at a screening of “My Sister’s Keeper”, I usually sweat from the head, so wear a cap, but nothing was coming out the noggin’ up there, it was pouring out of my torso. At least I had a swimming pool to leap into, or some salt water therapy about 10 metres from where I finished. View was nice too – pity those palm trees, sand and waves kept getting in the way of her…um I mean “it”. I flew back to Melbourne on the Tuesday arriving late that night with a work training session booked in for the next three days. Day one didn't start until 3pm and I had the morning off, so it was time to get serious again and put in a long run. 15.42kms later I was spent, but it was a good solid test plus I had to be alert all afternoon, so I was testing out my mental strength as well, it’s not a good look learning about “emotional intelligence” and you’re the only one of the group of 12 who is snoring. The others did have a number of laughs at my expense, generally when I needed to stand up, walk anywhere, bend down to pick something up, the groans were louder than the main character in “Fifty Shades of Grey”. Plans were for a light 5km early morning jog on the Friday, but when the alarm went off at 5am I realised that sleep deprivation is not my thing and gave the tune up a miss. 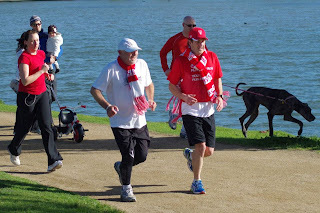 So after a three week hiatus I was back at my favourite ParkRun, wearing a Sydney Swans scarf (it was Aussie Rules Grand Final day) and although my plans were for a sub 30 min effort, the pace runner got about 30 metres in front with about 2kms to go and I thought “ I'm never going to catch him” as he seemed to be speeding up. Turns out he’d run the 1st 2 kilometres in 6.07 so had 14 seconds to make up and decided to do so into the massive head wind we had that morning. All up I was done in 31 mins and 35 secs, but could have shaved about 20 seconds off that time, but etiquette meant I shouldn't blast away the newbie in the last 500 metres, so I paced with her and let her finish 1 second in front of me. Next week she is toast. With only twelve days until the Melbourne Half Marathon and only one long run under my belt in the last three weeks I decided that I better pull my finger out and on Tuesday this week I headed off for an 18km training effort. All done in a slow time but I felt strong at the end and could have run a further 3kms so I’m ready for the half marathon, just a few more light training runs in between (plan on 10kms on Saturday) and I'll be fresh for my first attempt at the 21kms. Onto the marathon itself. Now the commitment had been made to run the Hobart Marathon on 13/1/2013, in as far as I’d booked my airfares to Hobart. Entries opened on 20 September and on that very same day I was online and entered. Now I just need some accommodation, three more months of training and I will be finishing my first 42km run. The hardest part of making the commitment has been done, the rest just now depends on myself being mentally solid enough to keep training and the rest will fall into place. Next week I'll give you an update (hopefully prior to my first ever half marathon) with my thoughts on listening to tunes whilst you train or run, as well as a review of my first ever deep tissue massage (that should give you a couple of laughs).